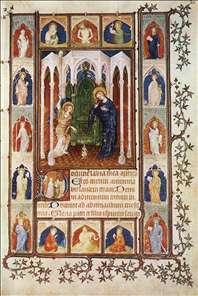 Jacquemart du Hesdin was a painter to the Duke of Berry from 1384 until 1411, when he was succeeded by the Limbourg brothers. 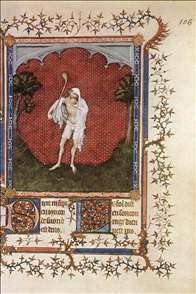 He made the Grandes Heures du Duc de Berry (Paris, Bibliothque Nationale), as well as the Trs Belles Heures (Brussels, Bibliothque Royale), but is principally remembered as having started what became the Hours of Turin. See more details about "The Fool"